Can diving help protect the marine world? A turkish entrepreneur shows it can be done! 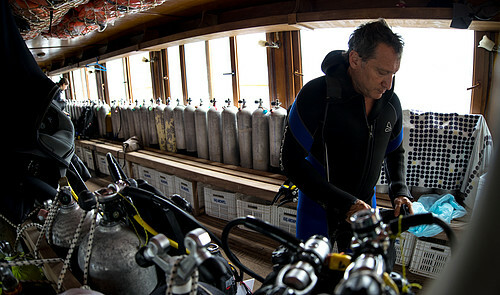 For many diving is just a hobby — for some a fervent mission. Murat Draman operates his business in the MPA of Kaş-Kevova, Turkey, away from the places most visited by tourists, to teach people who want to discover its underwater natural treasures how to respect and protect them. 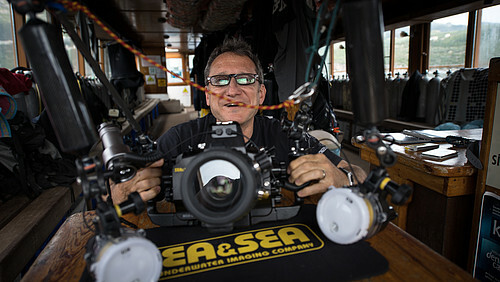 How long have you been diving and what made you decide to turn this passion into a business? 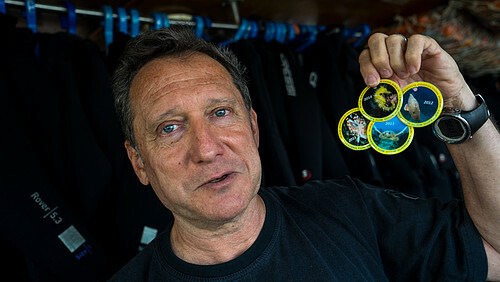 I have been diving for over 30 years now (and professionally for more than 20), mesmerized by the underwater Mediterranean. Despite starting a career in teaching industrial engineering, I think I was looking for an opportunity to live by and of the sea. Naturally, I became friends with people passionate about discovering and preserving the underwater world, and working with them on scientific projects in the Turkish Underwater Research Society (SAD) reinforced this desire. 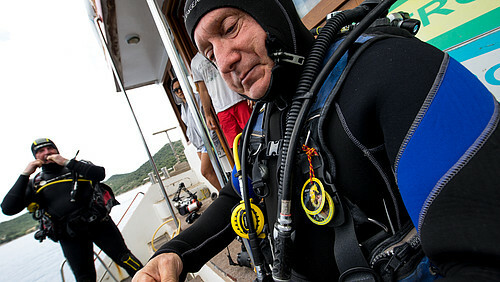 While continuing my teaching work, I had a first shot as a partner in a diving centre where I acquired some experience. When a great opportunity to start a diving/outdoors business with friends from SAD presented itself in the exceptional environment of Kaş, I decided that this was the right place, the right team and the right time. This is a “life plan”, not a “business plan”, in a beautiful place with a lot of potential for sustainable tourism. 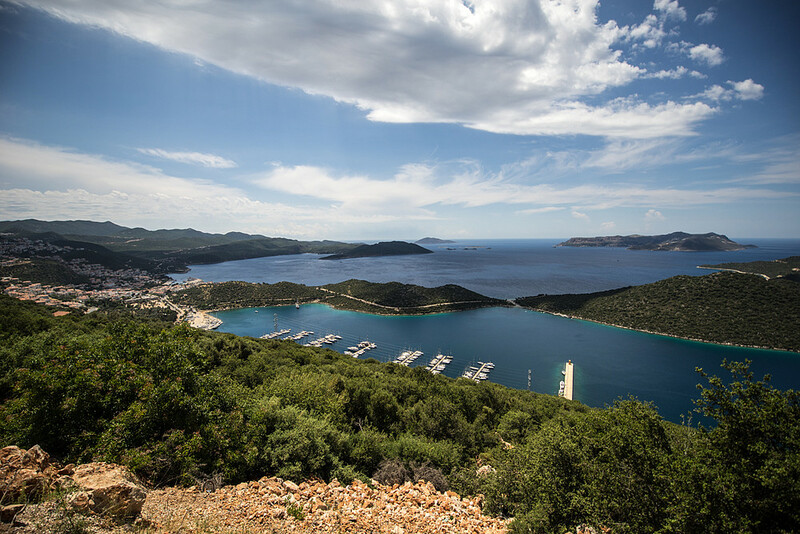 How did you initially get involved with WWF and the Kaş-Kekova MPA? I had been in contact with WWF for SAD projects and I knew them well. When the Kaş-Kekova MPA project started, it was a natural duty and a real pleasure for my dive center to assist the diving research team under the direction of Dr. Baki Yokes. Later on when the project evolved and meetings were organized with all the stakeholders, I represented the Kaş Underwater Association (KAŞAD). We had formed it earlier on, together with other diving tourism professionals in Kaş, to be consistent and organized in our communications with the local authorities and in our efforts to preserve the underwater environment. Believing in the power and essential role of NGOs, we gave full support to WWF in its efforts to help us create the Kaş-Kekova MPA, and started our own information and donation program for divers. What do you teach divers in terms of sustainability and how do they generally respond? We provide divers with a brochure that informs them about the proper behaviour to adopt underwater to avoid harming the marine environment, and the behaviour they should expect and demand from boat captains and other divers. In our welcoming and pre-dive briefings, we emphasize the fragile elements of this underwater environment, and highlight what differentiates it from the rest of the Mediterranean. 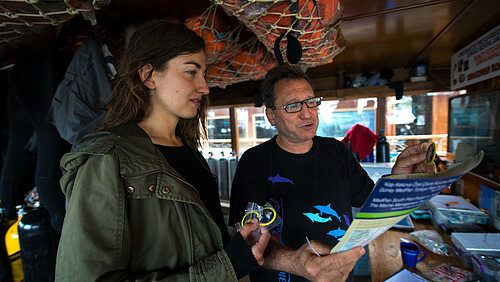 Most divers learn about the presence of the MPA from our welcome briefings. They appreciate without exception our continuous participation in conservation efforts within the MPA and almost always agree to make a small yearly donation necessary to install and care for small buoys that help us stop anchors being dropped on this fragile ecosystem. What are the most amazing underwater natural or man-made features and living creatures that they can encounter in this area? The Eastern Mediterranean is subject to migrating (lessepsian) species from the Red Sea: some of these species are devastating for the ecosystem, but surprising and exceptional first-time encounters are to be expected for divers. The rich Mediterranean fauna includes big predators such as the dusky grouper and protected species like the slipper lobster and the noble pen shell, despite the weakened flora due to invasive herbivore species. The karstic nature of the region shows itself with a multitude of underwater caves with very fragile “living” walls. Underwater artefacts such as amphorae are witnesses of centuries of Mediterranean trade, and present-day wrecks sunk by dive centres outside the limits of the MPA (a military airplane and a coastguard boat) provide fantastic dives. 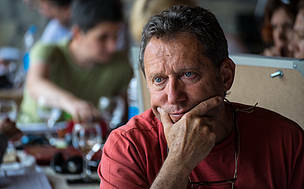 What challenges are you faced with in your day-to-day operations? The relative remoteness of this area is the reason for its exceptional natural heritage that has nevertheless suffered visible damage in recent decades due to migrating herbivore species that have become dominant, as well as overfishing and illegal fishing, and of course increasing water pollution and probably rising water temperatures. Therefore, conservation efforts must indeed be accompanied by a lot of perseverance and patience, as we believe in a great potential for recovery. This is not a case of the straightforward preservation of a healthy ecosystem. What are your greatest satisfactions with regard to your eco-efforts? Working for a successful MPA as a team of divers aware of their responsibilities, supported by other NGOs and local stakeholders is a good reason to continue. We are still not quite a “success story”, but the positive feedback received from visitors by merely informing them about the presence of an MPA and of our protection efforts, as well as sharing a collective feeling of hope for a beautiful recovery is rewarding enough. Then the personal pleasure to be here showing endangered marine species to divers and experiencing their joy first hand... is just the icing on the cake! 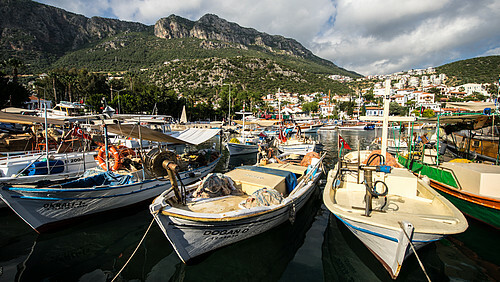 What is your wish for the future of Kaş, the MPA and this overall coastal region? The Kaş-Kekova region has so far adopted an economic model of small-size tourism activities based on its exceptional natural, cultural and historical heritage. Being different from all other surrounding “sun & sea” mass-tourism regions, is what has led to its current success. This in turn though brings along a lot of pressure for development – but a choice in that direction would deplete all its original assets and make this area just another tourist destination, with a small chance for success because of its remoteness, compared to similar sites all over the Mediterranean. So the region can only survive by sustainable use of its natural and cultural resources, and with activities spread over the whole year. So naturally, my wish is to have responsible, chosen representatives who will make the right choices, leading Kaş-Kekova in this direction. As for the MPA, success will depend on the prompt implementation of an effective management plan, backed with a local surveillance team and self-sufficient financial mechanisms to assure all of its functions. As a technical necessity, the realisation of buoy systems and their regular maintenance is the first step to take. A successful marine park as a living proof of sustainable tourism choices is the only way to preserve our way of life. Sometimes an untrained eye may not find the underwater here very exciting compared to coral-rich exotic oceans, but an experienced guide will make all the difference by pointing to endangered and/or surprising animals… every dive is a challenging pleasure! Being located away from the busiest tourist routes is also a chance for this area to recover, since only people looking for unusual discoveries and experiences will be going the extra mile to get here. The challenge is to give them the satisfaction they crave: this is why the success of the MPA is fundamental for the future of Kaş.